LimeLight facial treatments target the surface imperfections of the skin that are associated with aging and sun damage, such as redness, tiny veins, fine lines, and brown spots. 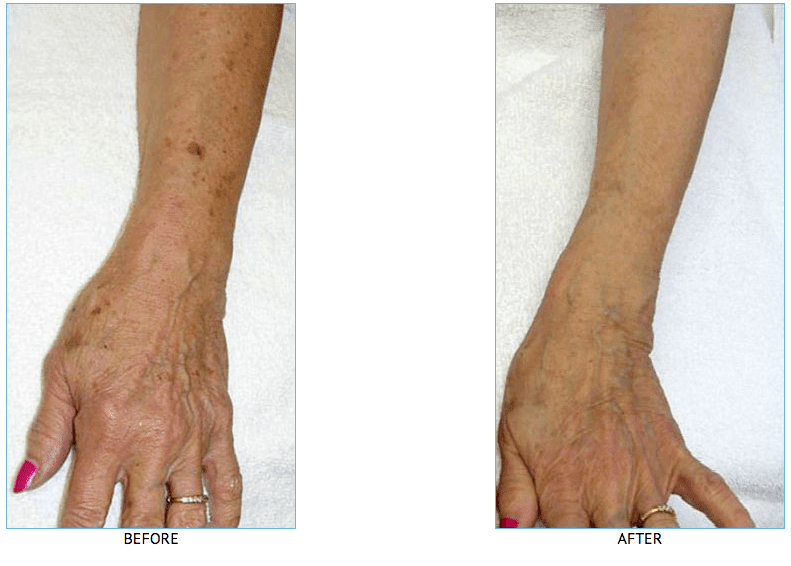 This non-invasive procedure will improve the overall skin tone. Treatments are customized for different skin tones and aging skin concerns. The result is an exceptionally effective facial skin rejuvenation with minimal discomfort and no downtime. The LimeLight Facial is a non-invasive approach to skin rejuvenation using the Cutera laser system. The procedure improves the skin’s tone as well as the surface imperfections associated with aging and sun damage. The LimeLight Facial is ideal for any part of your face, neck and décolleté that requires the correction of redness, telangiectasia (tiny veins) or brown spots. Light brown spots, which were previously difficult to resolve, respond very well to treatment. Your physician can customize your LimeLight Facial to your skin type and selectively treat the brown and/or red pigmented areas on your skin. Treatment times vary, depending on the area of the body being treated. However, most treatments take less than one hour. One to three treatments are usually sufficient to see results. Additional treatments may be recommended, especially for excessively sun damaged skin. Immediately following treatment, brown spots will start to darken and your skin may appear slightly red. The treated area may be mildly swollen. This typically lasts only a few hours but can last a day or longer. Make-up can be applied to cover the redness. Within one to three weeks, the darkened spots will flake off and fade. Diffuse redness will decrease and your mottled complexion will improve. New brown spots, tiny veins, and diffuse redness may appear with any new sun damage. Remember to always apply broad-spectrum sunscreen when outdoors to minimize future effects of the sun. Rosacea is a chronic condition and cannot be cured with any laser or light source; however, its appearance can be improved.